Most people are familiar with Linux's top command line utility to see what process is taking the most CPU or memory. 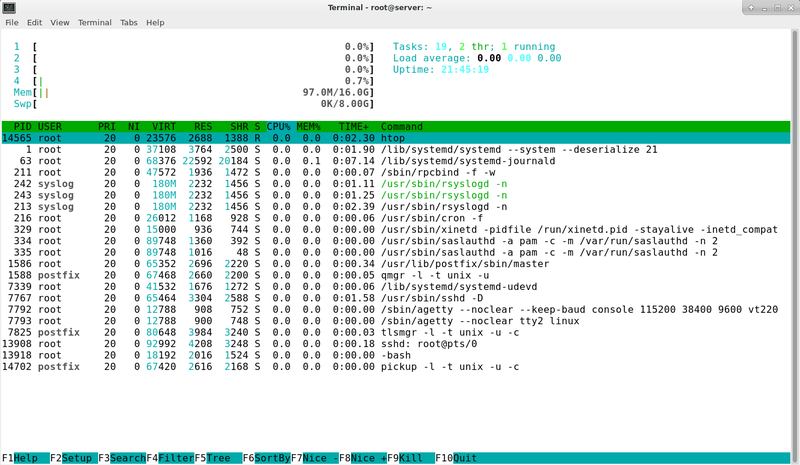 Although top is included in almost every distribution by default, an improved version, called htop is available for download from most repositories. That's it, htop is installed and ready to be used. There are plenty of options that you can access through help or setup. These should be your first stops in exploring htop's functionality.